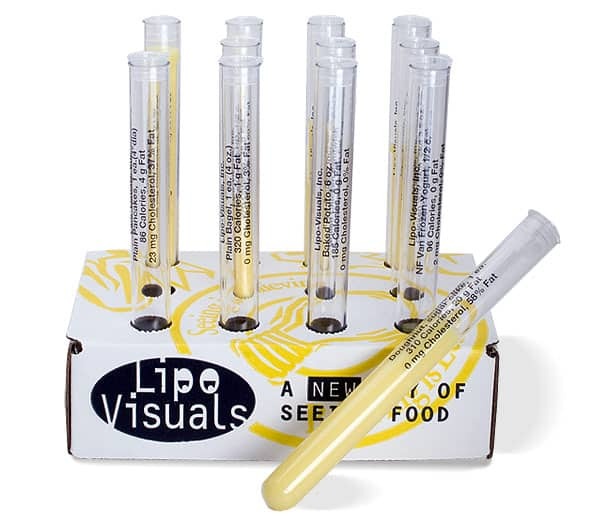 The Lipo-Visuals 12 Pack fat tubes compare the fat facts in glazed donut vs. bagel, ice cream vs. frozen yogurt, Big Mac vs. grilled chicken sandwich, french fries vs. baked potato, hamburger pattie vs. chicken w/o skin, and sausage biscuit vs. pancakes. 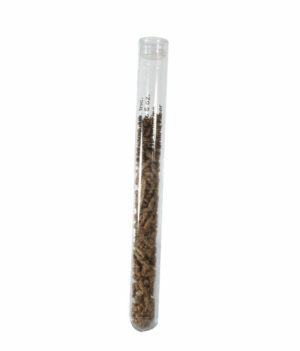 Each fat tube kit comes in a sturdy corrugated cardboard box that converts into a test tube rack and has an educational handout. Fat tube labels show the calories, fat grams, percent fat, and milligrams of cholesterol.